Wayne and I purchased our float cabin home on Powell Lake in BC in 2001. It was the best decision we ever made. 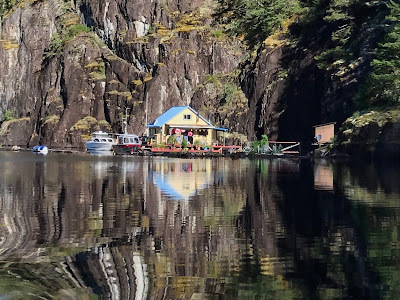 Our float cabin fits the tiny home definition. 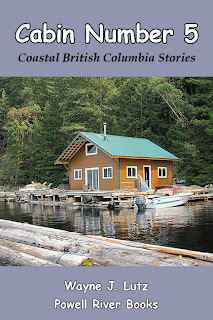 In fact, it was featured in Lloyd Kahn's book Tiny Homes: Simple Shelter. 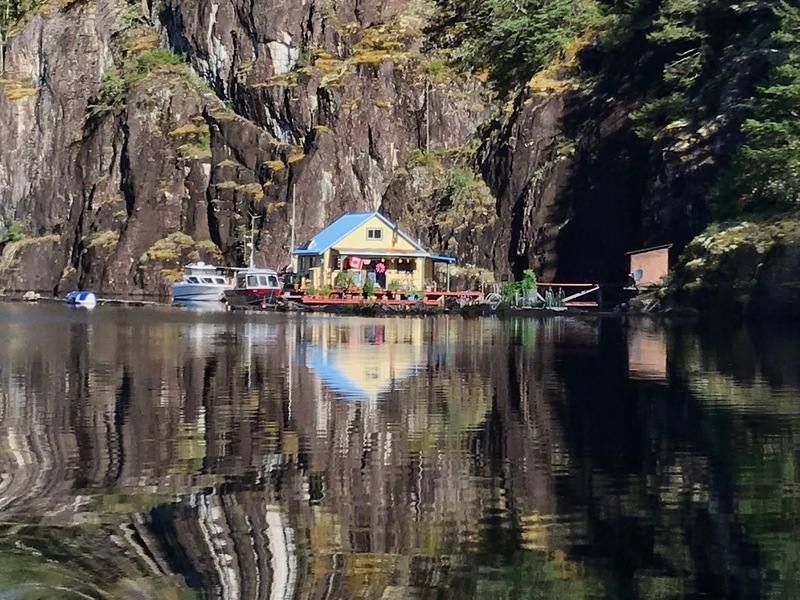 Are you interested in what it's like to live in a tiny home on the water? I just completed a series about what it's like. 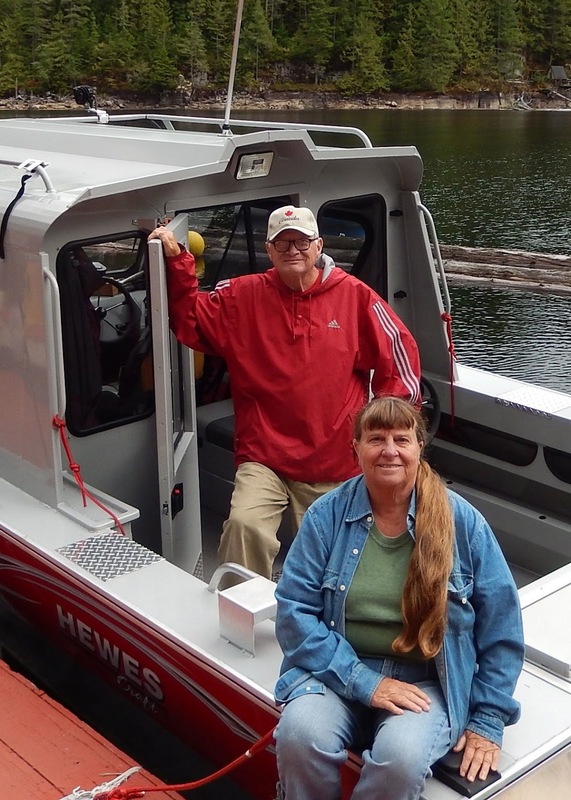 Click on the links below to go to the posts. 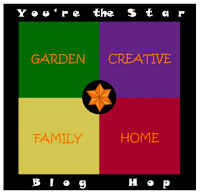 If you have questions, leave a comment or use the email link in my profile. 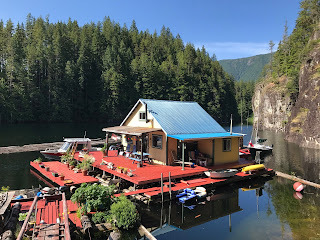 For more information there are posts under Float Cabin Living in the sidebar. 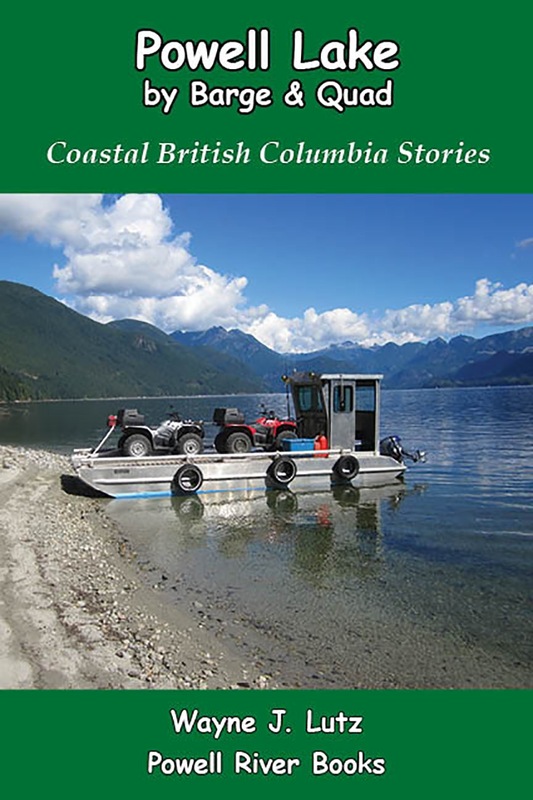 You can also visit the PowellRiverBooks.com website for information about my husband Coastal BC Stories series of books. 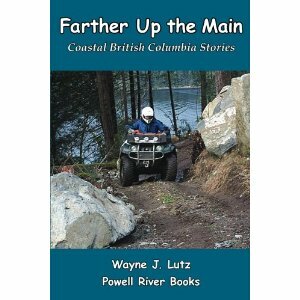 Many include chapters about cabin life and Powell Lake. 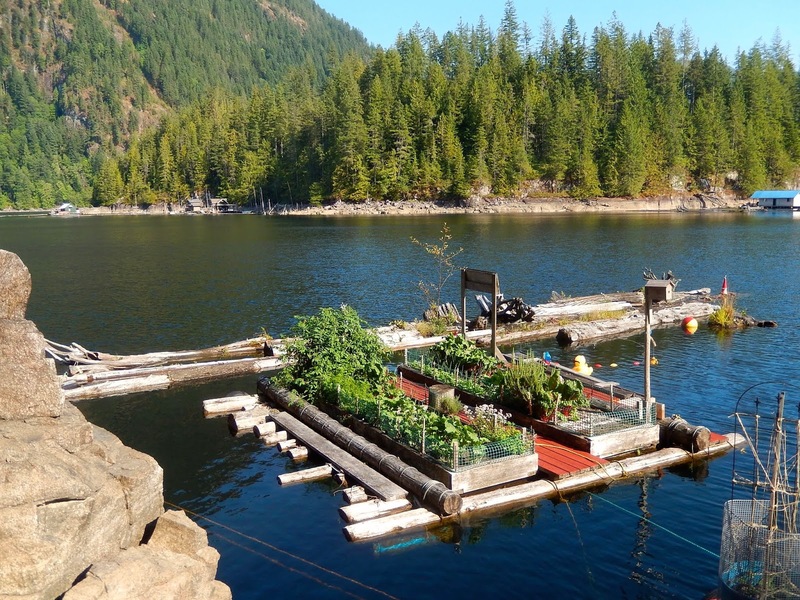 Four raised beds on a cedar log float. 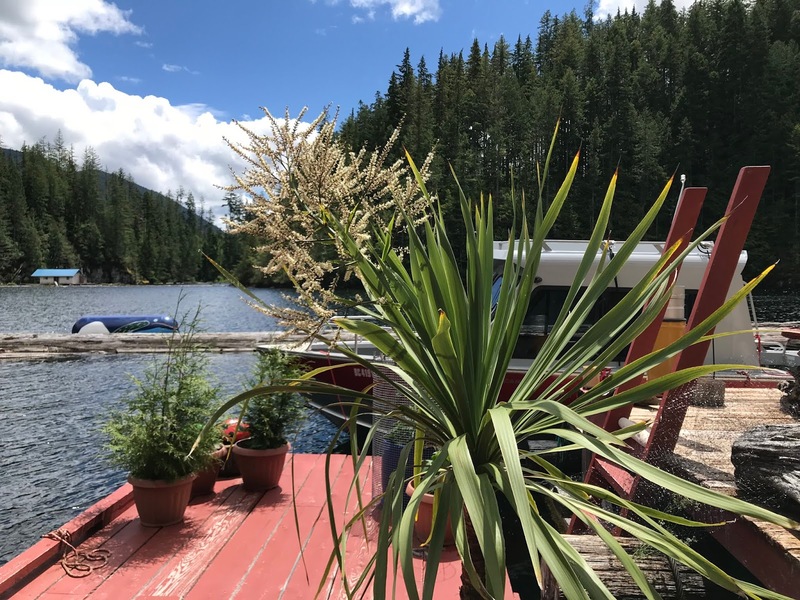 After a cool June, our weather has warmed with the long days of summer and my garden has taken off in leaps and bounds. Right now it is hard to keep up with all of the produce coming from the raised beds on my floating garden and containers on our cabin deck. 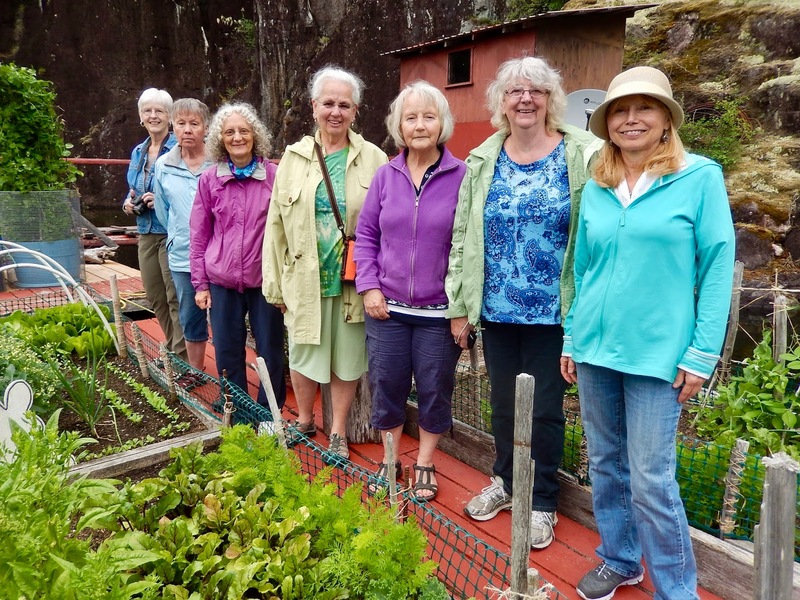 I kicked off summer by inviting 21 members of the Powell River Garden Club to go on a boat ride up to my float cabin to visit my garden. 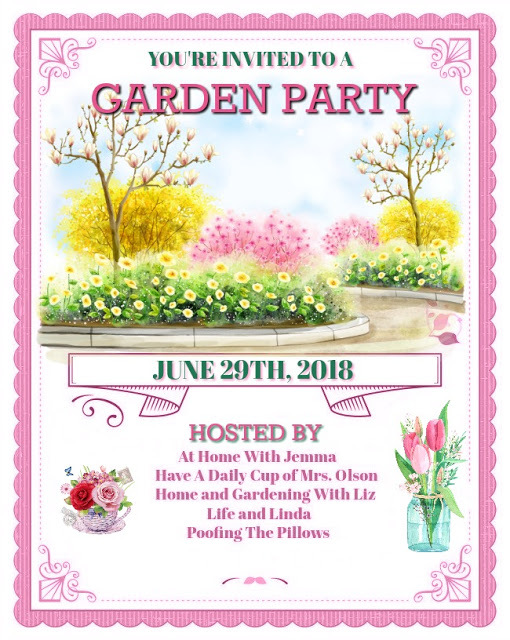 It was my first "garden party." 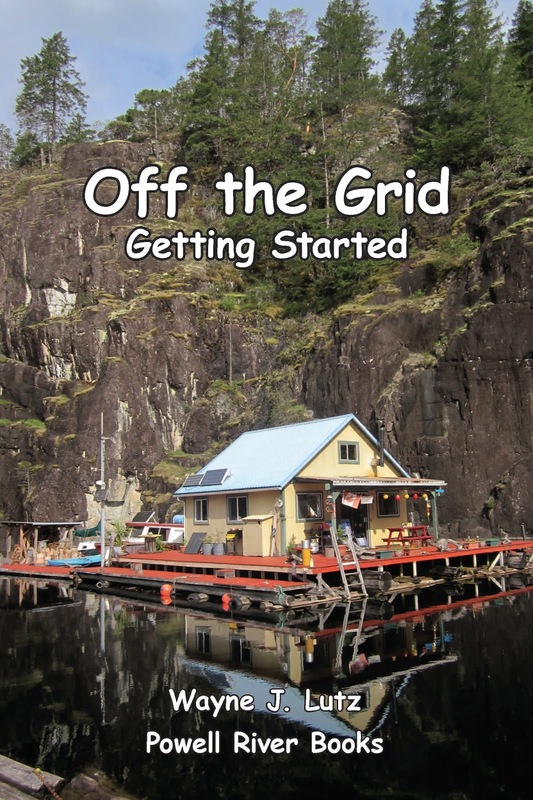 It was such a hit I plan to do it again next June. 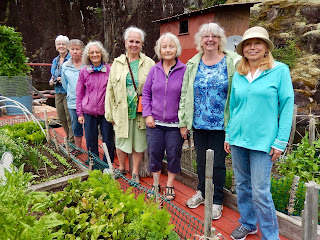 Three tours of seven Garden Club members. 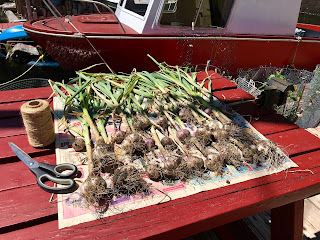 This is the first year I planted garlic in the fall. It made a huge difference in the quality and size of the bulbs. Some were hardneck, my first time trying that variety. 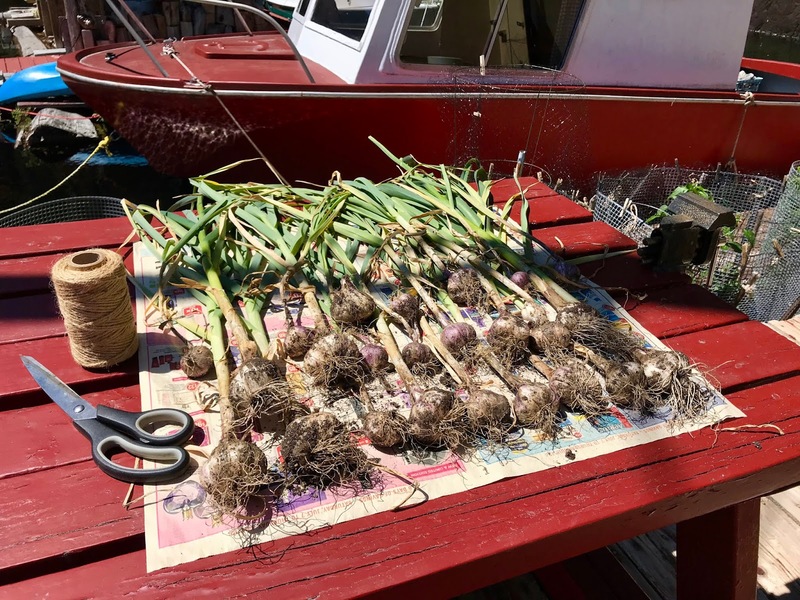 Preparing to hang my harvested garlic to cure. My red currant plant growing in a large container started producing for the first time. The fruit was too tart to eat raw, but it made an excellent jam. My Dracaena spike plants have grown from tiny grassy shoots to massive plants in about ten years. This year one plant flowered for the third time. The other plant (pictured) flowered for the first time. I almost gave up on zucchini. After three years of blossom end rot, my plants have been producing well. I think the key has been increased bee action for pollination. I tried a yellow zucchini for the first time and love it. 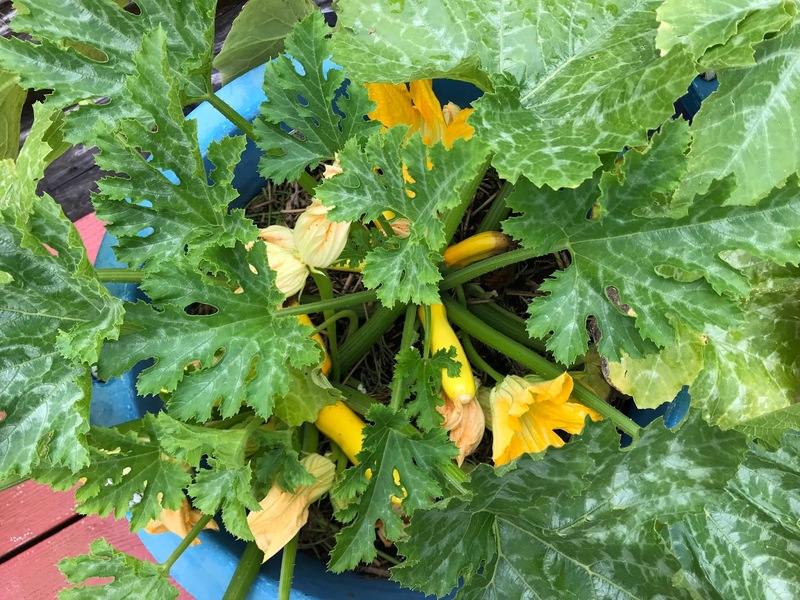 Yellow zucchini growing in a pot next to a green variety. How is your summer garden growing? What are some of your hits and misses? 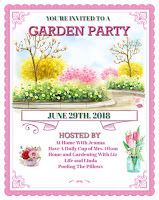 Visit Garden Party at Have a Daily Cup of Mrs. Olsen. 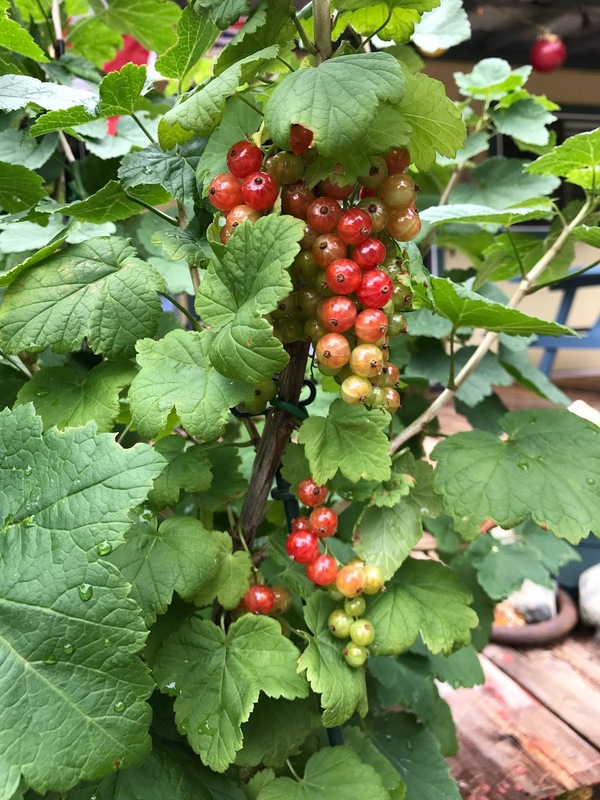 Last year I planted a small bare root red currant. This year it’s grown considerably and developed clusters of berries on previous year’s branches. I was surprised at how many. Last week they all started to ripen at once. I’ve tasted a few and found them too sour to eat raw. The label said they make good jelly, wine and preserves so I thought I would try. Removing seeds in a food mill. 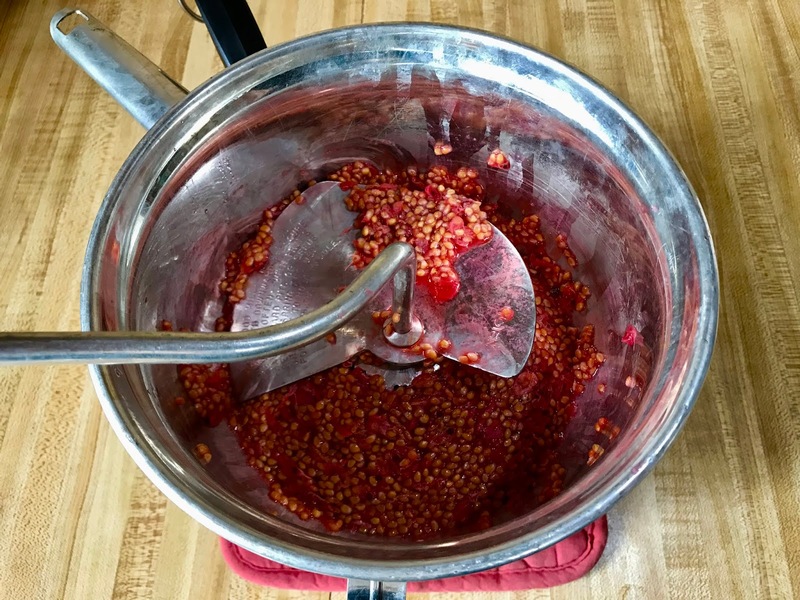 Red currants contain a lot of seeds, they’re edible but I didn’t want them in my jam. 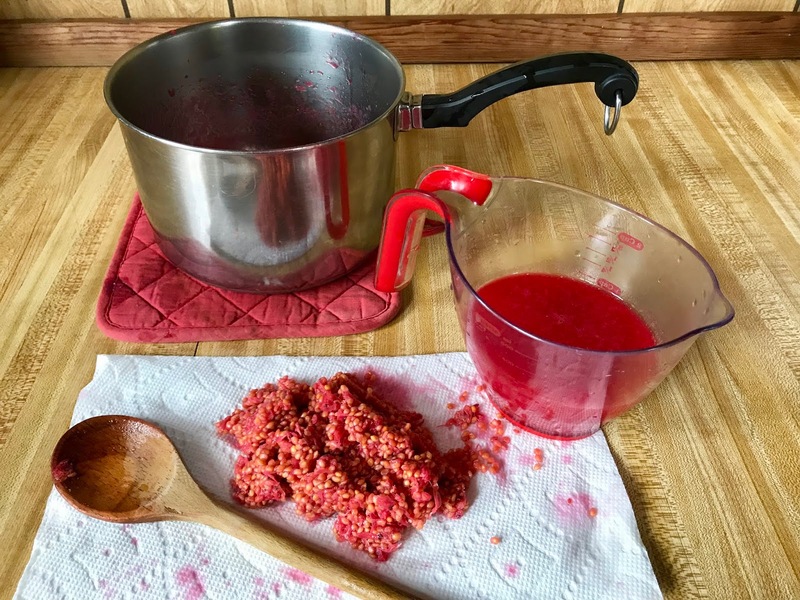 I washed the tender berries then warmed them in a saucepan while crushing with a potato masher. Still warm, I processed them in a food mill to remove the seeds. From two cups of mashed berries I got one cup of pulp and one cup of seeds to be discarded. I added one cup of sugar and one tablespoon bottled lemon juice to my one cup of juicy pulp. Because the berries are tart, no pectin was needed. Cook until jelled at 220 degrees Fahrenheit. I heated the mixture to a rolling boil and kept it bubbling until reaching 220 degrees Fahrenheit (the jell point). 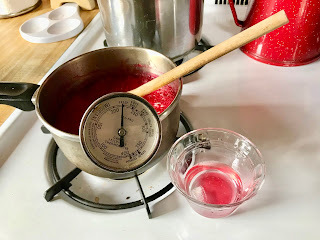 Because I was using a small pan, it was hard to keep the thermometer away from the bottom so I backed it up with the cold-water test for jelly. Result, one half pint of jam. 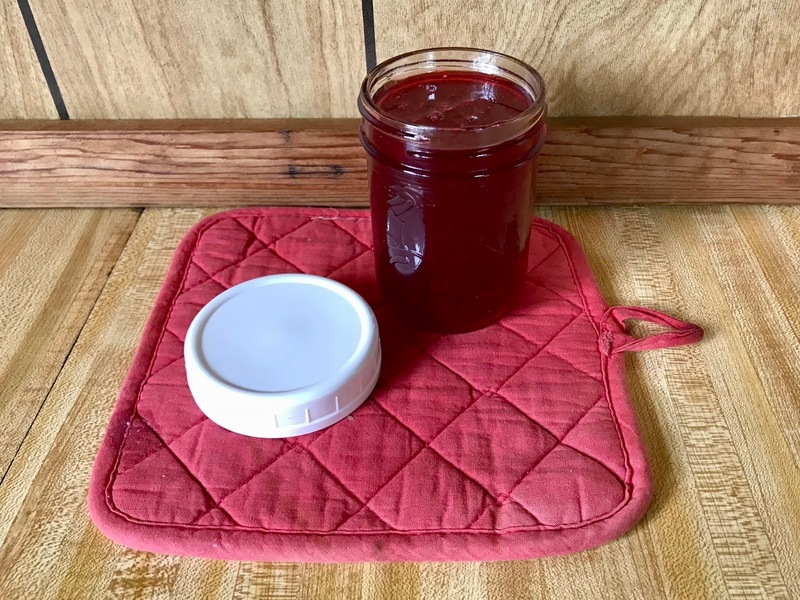 I prepared two half-pint jars and my small water bath canner, but in the end I only got one half-pint jar of jam. I chose to use it as refrigerator jam. Maybe next year I’ll get a bigger crop to make enough to put up for the pantry. I'm pleased with the taste. It's a tart tang, but not sour like the raw fruit. The label on the bare root stock was right. The fruit does make a good jelly or preserve. 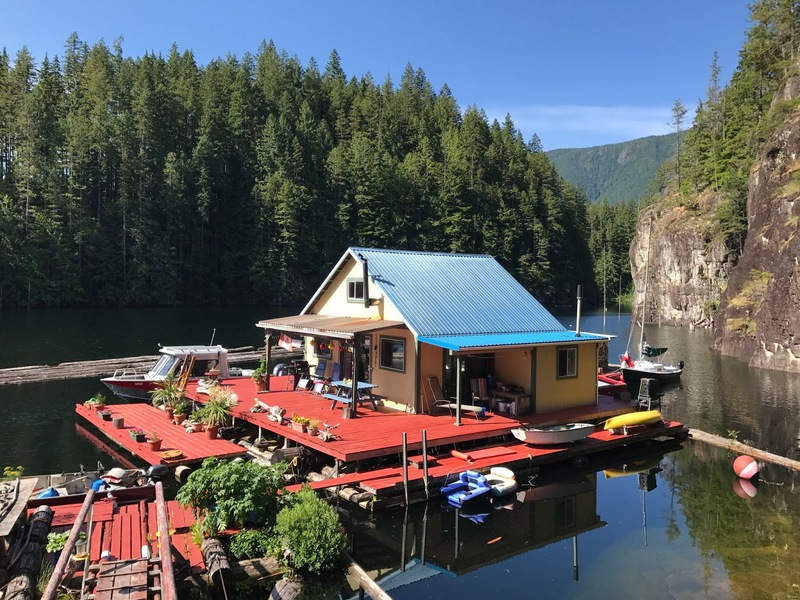 Summer is a wonderful time to live up the lake in a float cabin.